The wheels of a vehicle are critical not just to its form, but more importantly, to its functionality as well. As your only four points of contact with the road, the wheels (and tires) ensure that you’re always in control while supporting all its weight. 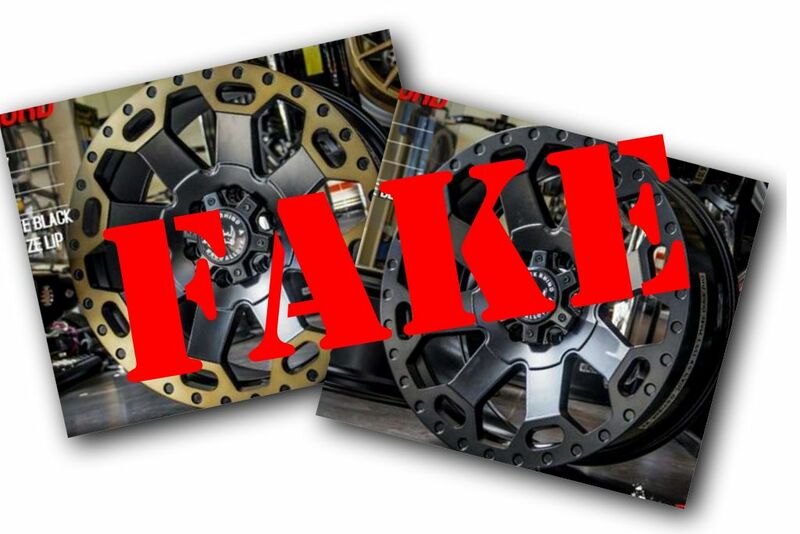 This is why Wheel Gallery, the exclusive Philippine distributor of Black Rhino wheels is concerned about the prevalent of fake wheels. 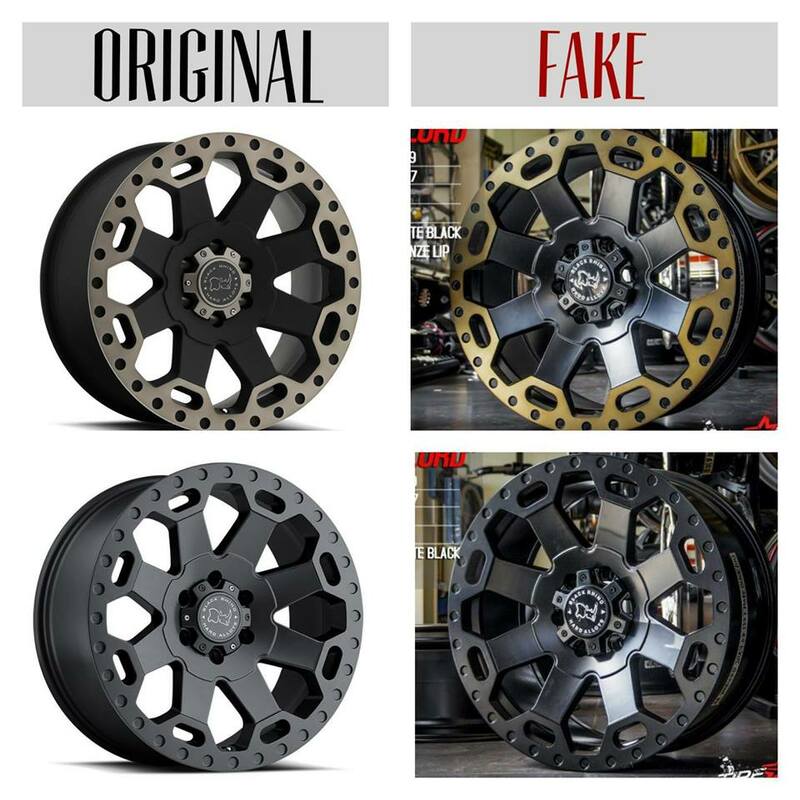 Counterfeit wheels may be cheaper than original, but because they skip the many processes that proper wheel manufacturers like Black Rhino implements, they do not carry the same level of safety, durability, and performance. On the other hand, original Black Rhino wheels have been subjected to a stringent battery of tests that endure quality and durability including: dynamic fatigue testing, cornering testing, and impact testing. Like its namesake, Black Rhino wheels only make the toughest and meanest looking SUV and truck wheels in the market. “All of our wheels have been engineered and designed to be both street and off-road friendly. As a responsible service-oriented company, we would like to express our concerns about fake Black Rhino wheels because these might smash or break at any given time,” explains Mr. Eric Bravo of Wheel Gallery. “Always look at the fit and finish of the wheels before buying them, or better yet, get in touch with us to find out if the dealer you are buying from is a certified Black Rhino dealer,” adds Bravo. Original Black Rhino wheels are precision-machined and mechanically-chiseled which gives off its signature tough-as-nails look and feel. Black Rhino wheels are aggressively-sized, with fitments for 17x9, 18x9, 20x9, and up to 22x12, all with oversized lips to provide a sturdy bead seat for the big fat tires and to haul heavy loads and overcome the rugged terrain with the lease amount of effort. All wheels are either hub centric or supplied with centering rings to ensure a smooth vibration free ride. For more information about where to get original Black Rhino wheels, visit the Wheel Gallery website or check out their Facebook page at Black Rhino Wheels – Philippines. so...the real ones look somewhat fat while the fake ones look thin??? I can see from the picture the difference in lettering where the original has thin and almost faded lettering but precisely drawn and doesn't look like it was written with a white correction fluid pen. Not just limited to that. Some color combinations don't exist compared to the real ones. Sir, is there a more definitive way of telling the real and fake ones apart? Like some kind of serial Number or a seal in the package. I bought an original br warlord locally, as claimed by the seller. It was more expensive than the fake ones he sold, (and heavier) but im not sure until now if he told the truth. You can have it brought to Wheel Gallery to have it double checked. You can also take close up of your wheel and send it as a PM through Black Rhino Philippines Facebook page.